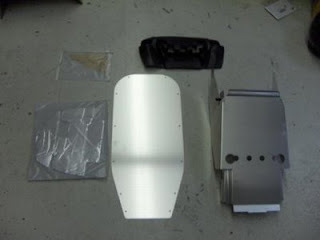 Buy a Yamaha Motor Canada Tunnel enclosure panel kit available for the 2007 and 2008 Phazer, Phazer GT, Phazer RTX and Phazer M TX . A tunnel close out panel allows you to close off the open tunnel, just like the 2009 model. This eliminates ice buildup on the sides of the tunnel which can be caused by melting snow from the exhaust. The kit will close the hole in the tunnel below the exhaust silencer. 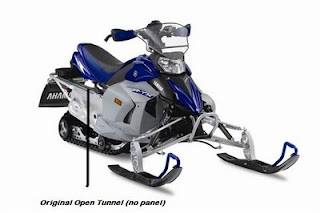 View Yamaha snowmobile windshields, front and rear bumpers, storage bags and more on our snowmobile accessories pages. Here is a picture of what is included in the tunnel kit.